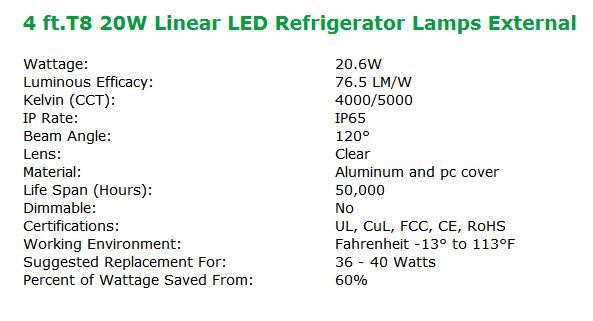 LED Refrigerator Tubes are an ideal substitution for lights found in refrigerators. They withstand temperatures from -13°F to 113°F. 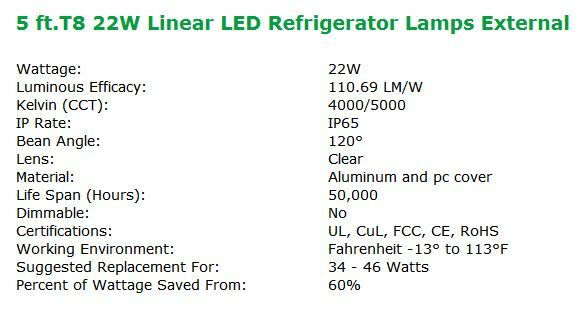 The LED Refrigerator Tubes come with a 5 year warranty. These LED Refrigerator tubes can help save about 60% of energy.